We all know how important is to brush our teeth every day, at least twice a day and at least for two minutes. But do you know why this is important and what actually happens in our mouth when we do not take care of our oral hygiene? When food remains on the teeth, the number of bacteria is growing. Bacteria can affect the mouth in two ways: by attacking the tooth and by attacking the gums. Food on the teeth represents the reservoirs of the bacteria that multiply every day, causing the inflammatory response of the organism. Inflamed gums are enlarged, red and they are bleeding when you brush your teeth. When you do not wash your teeth well for a couple of days in a row, a plaque and stones will be created from the food particles on your teeth. The stone is also a reservoir for bacteria. All these ingredients together, food deposits, stones, bacteria and inflammation of the gums leads to periodontitis. Periodontitis is gum disease. It starts with the inflammation of the gums itself, which then goes deeper into the jaw bone. The consequence of this inflammation is a recession of the gums, reduced bone level, tooth decay, and finally the loss of the tooth. The basic cause of this whole process is a dental plaque. How to protect yourself from periodontitis? In addition to the hygiene of the teeth that you should be maintaining at least twice a day (morning and evening), it is necessary to go to the dentist twice a year and to have professional teeth cleaning done. Your task is to keep your teeth and gums clean at home, to floss and to use mouthwash on a daily basis. However, even in the conditions of ideal oral hygiene, it is necessary to come twice a year to the dentist, so that a professional can remove all the bacteria and dental plaque from the places that you cannot reach. These places are underneath the gums and between two teeth. 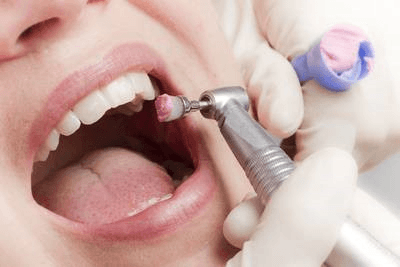 Also, regular visits to the dentist and regular examinations and cleansing will promptly spot any problems that you may have on your gums or teeth. In this way, every problem will be spotted in time, it will take less time for the problem to be resolved, the procedure will not be painful and it will cost you a lot less. In order to schedule your regular checkup, call us at Life Smile Dental by Dr. Navarreteat (305) 558-6832 or request an appointment through this page.